Getting all those craft supplies organized is not easy, but here is how I did it. If I can get them under control, so can you. W hen you need to get your craft supplies organized it may seem like an overwhelming chore. But let me assure you, it can be done. In other words, if I can do it, you can, too. I'm into tons of different kinds of crafts. I love crafting of just about every variety and I have the craft supplies to prove it. Just about every kind from needles and yarn to paper and paints. At one point in my life I had craft supplies of every variety all over my craft room. Yep, I do have my own craft room. But, it was a major mess. Not anymore, though. I got everything organized. 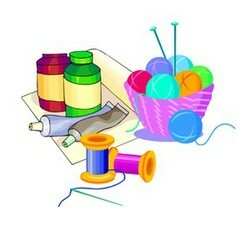 Now, I even contribute to Organize Craft Supplies to help others get their craft supplies under control. Here's what I did and how I achieved an organized craft room. A craft room with all my craft supplies put where I could find them quickly and put them away easily. The first thing I did was to get two large boxes, just for sorting. One box was my “trash” box, the other was my “save for later” box. Into my trash box went everything that I no longer wanted. Everything broken went in there and everything that I knew I wasn't going to finish. Now I have to tell you that my trash box didn't go in the trash. Probably like you, I just couldn't bring myself to actually throw it out, but it sits at the back of my craft supply closet. And I haven't once touched it since I first put it there. A lesson to me, it really is filled with trash. The save-for-later box contains all the kinds of crafts and supplies that I know I want to work on, but just not now. The multitude of Christmas craft kits that I bought on sale right after the holidays and I won't work on until next Christmas. The quilted wall hanging that isn't actually quilted yet, but I love it and will finish it some day. The knitted baby blanket that is waiting for my next grandchild to be born. Those kind of things are in my save-for-later box. The next thing I did was to sort all my other craft supplies into groups. The groups were designated as the type of craft. All my needle work supplies went into one pile, all my fabric craft supplies in another, and all my paper craft supplies into a third pile. 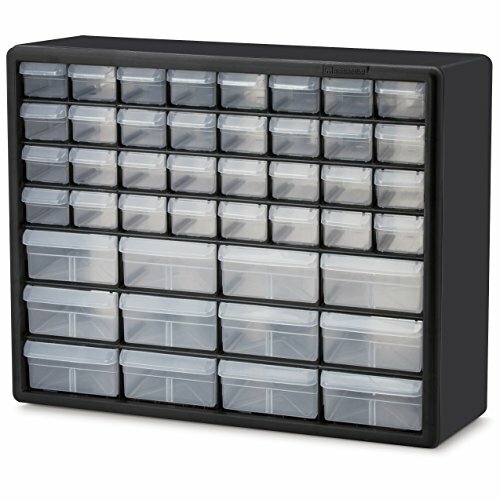 Then I made decisions about what kinds of organizing containers I needed. For my jewelry making, I wanted containers that could keep all the beads and small supplies sorted. For my yarn crafts, I wanted large containers where I could keep like colors of yarn together. I wanted flat and stiff containers to keep my papers smooth and sorted. When you know the types of containers you need for your various craft supplies, then you can start shopping. But, start a home first. Find what you already have that will work just right. Then decide what you need to buy. Think of all the times you search for just the right supply you need to complete, or even keep working on, a particular craft project. Then think of the time you wasted in that search. Wouldn't you prefer to spend that time in doing your craft rather than searching for a specific supply? Next think about the number of times you have bought a craft supply you already have a home. I did that tons of times because I didn't realize I already had it. What a waste of money! Many times, I even ran to the nearest craft supply store to get something because I couldn't find it at home. Another money and time waster. When I got my craft supplies organized, I saved myself so much time and money. The investment of buying just the right organizing container paid off handsomely for me. And it will for you, too. 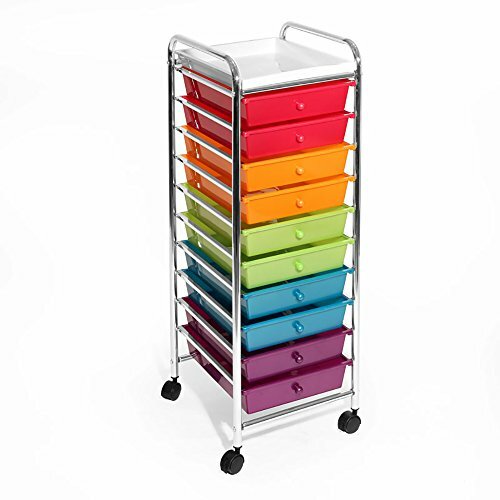 So spend that extra bit of time and money now and get your craft supplies organized. More tips and help are available at Organize Craft Supplies, so visit, learn a little more, maybe even share your favorite organizing tips. 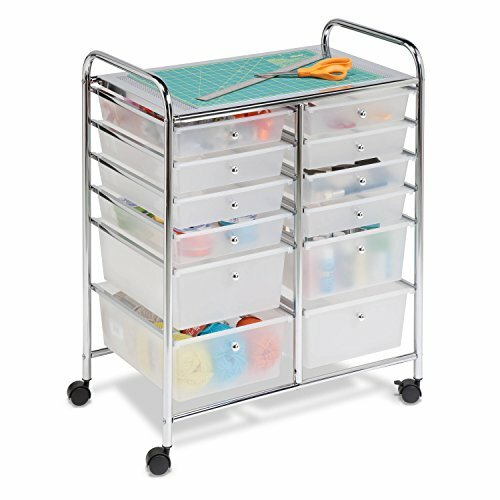 Are You Going to Get Your Craft Supplies Organized? Oh, Angel I am so glad! 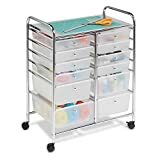 I just want you to know that I received my new Honey Can Do cart today and love it - it works out well to help organize all the school papers that come home from school. Thanks for leading me to it! Thanks, Towanda. Happy this helped you out. Caroline, I'm so glad you liked it. Thanks. I finally got all my crafts organized and sorted. It's really nice. Now I just have to find more time to do them. At least I can find something when I want it. Good page. Thanks, Angel! I really appreciate all your support!